As we struggle to make sense of changes to our environment, as health care workers try to anticipate the possible spread of infectious diseases across the globe such as avian flu, or resistance to treatments within the human body, as politicians and policymakers grapple with the impacts of globalization, including the foreclosure crisis and its sweep through the global economy, they are all coming to the conclusion that the conventional ways of thinking about these problems are inadequate. The behavior of complex systems is not comprehensible by searching for single causes or by trying to reduce problems into their separate components for individual analysis and resolution. This realization has led to a new approach to knowledge and causality that is increasingly being applied in many fields, from organizational management to cybernetics. This new approach is called systems theory, or more accurately, systems thinking. A system is defined as an interdependent group of agents working together as a whole. The agents “might be the atoms that interact to form a molecule; the bones, organs, and tissues that constitute the human body; the sun and planets that together form the solar system; or the police, lawyers, judges, courts, prisons, and computer programs that together make up the ‘criminal justice system.’” Systems theory is not a theory proper, but rather a set of principles that make the dynamics and patterns of system behavior intelligible. It is a different way of looking at the world, a perspective that sheds light on relationships and interactions that are often overlooked within a linear, reductionist frame of reference. 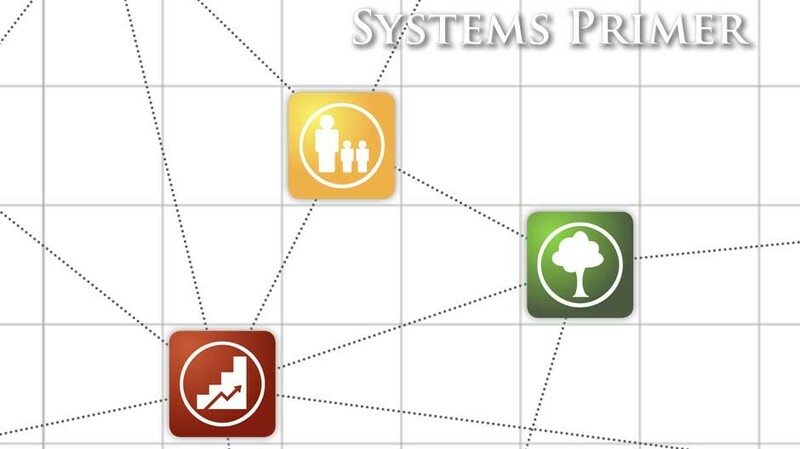 This approach provides decision makers with the tools to respond to and cope with unforeseen obstacles that inevitably arise in complex systems.